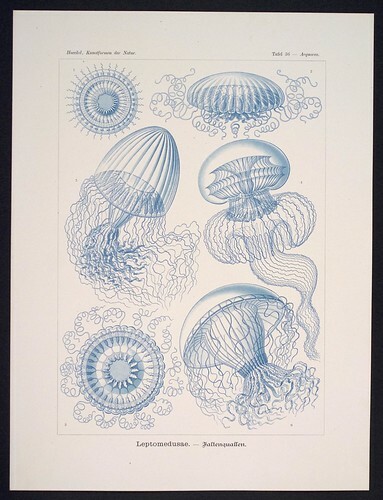 Leptomedusae, Ernst Haeckel, Kunstformen der Natur. Chromolithograph 32 x 40 cm, Verlag des Bibliographischen Instituts, Leipzig 1899-1904. Photograph by D Dunlop. and the pressure approximates an energy density due to all the quarks in P, not just the ordinary quarks.